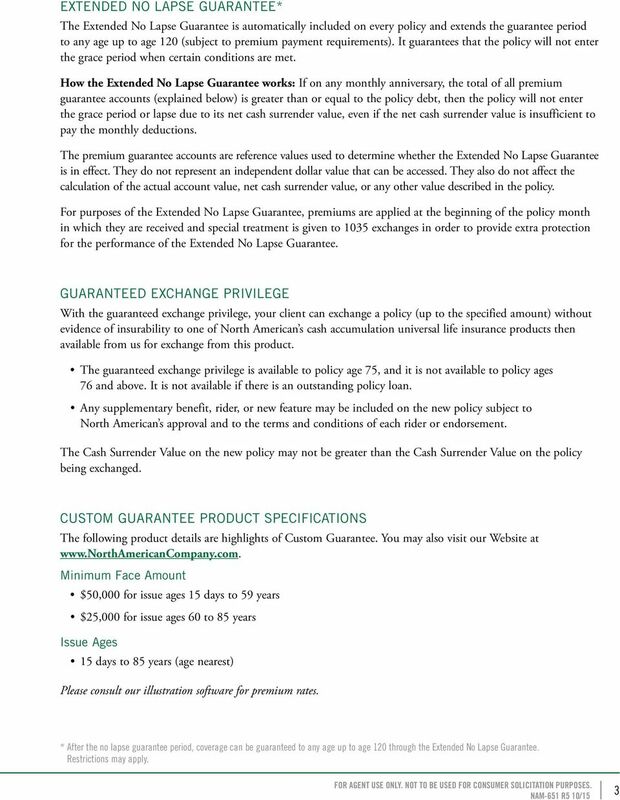 Download "Custom Guarantee. 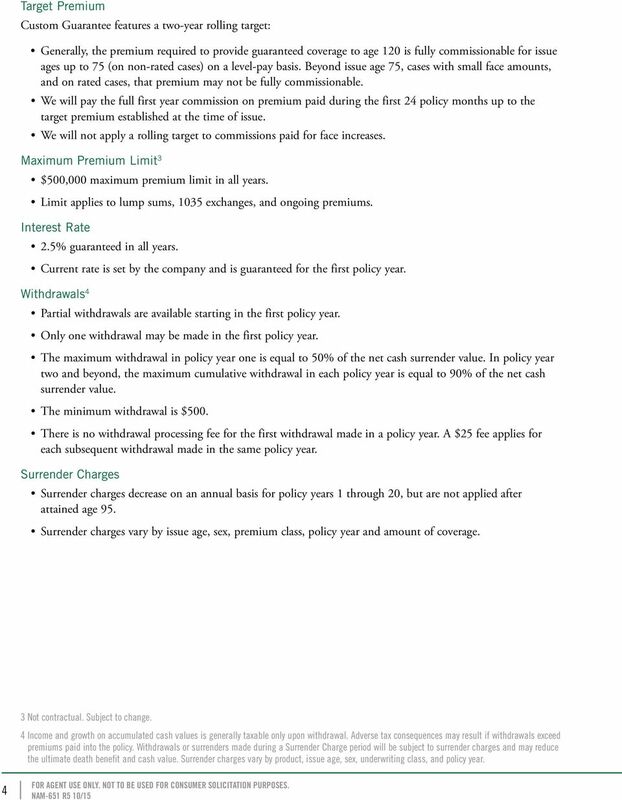 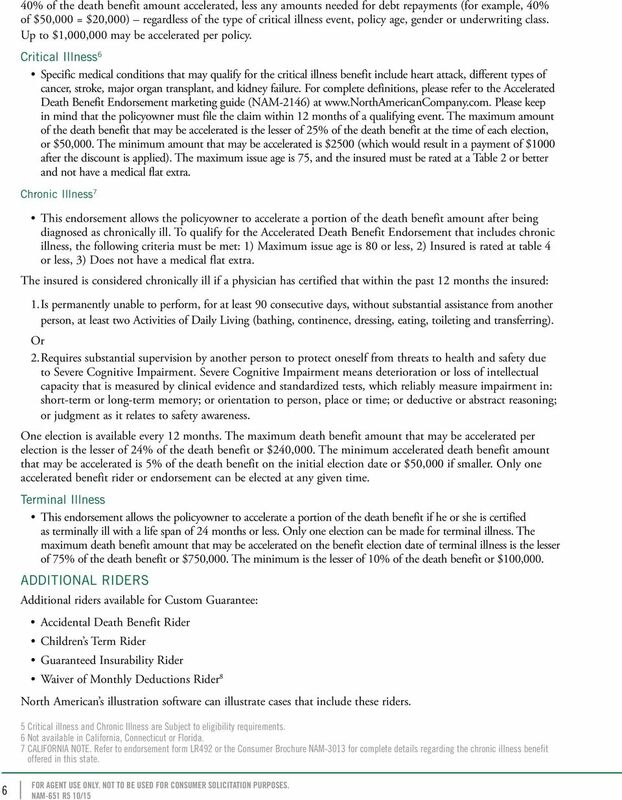 Universal Life Insurance with a Death Benefit Guarantee 1. 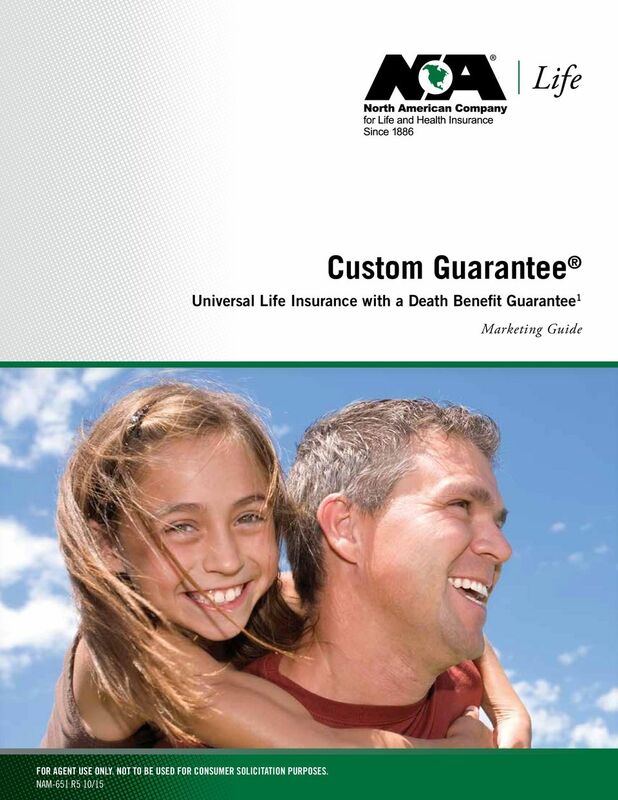 Marketing Guide"
Income Protection Using Life Insurance to Preserve Your Client s Lifestyle Marketing Guide Help your clients prepare for the unexpected. 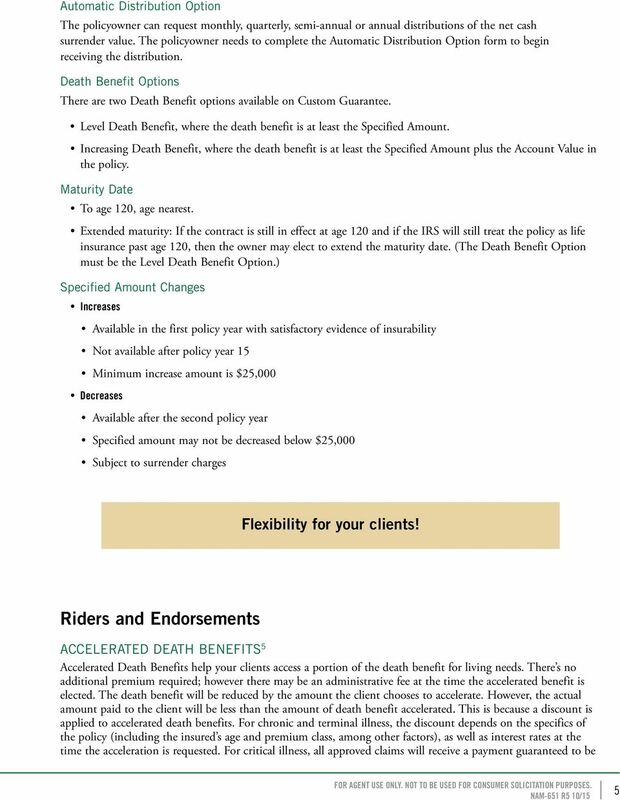 Ask your clients to imagine if their spouse was not there tomorrow. 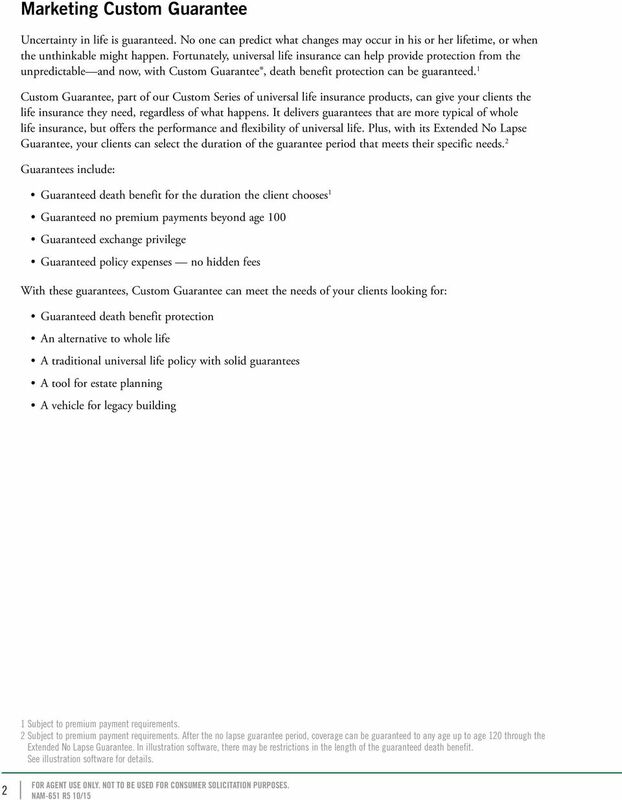 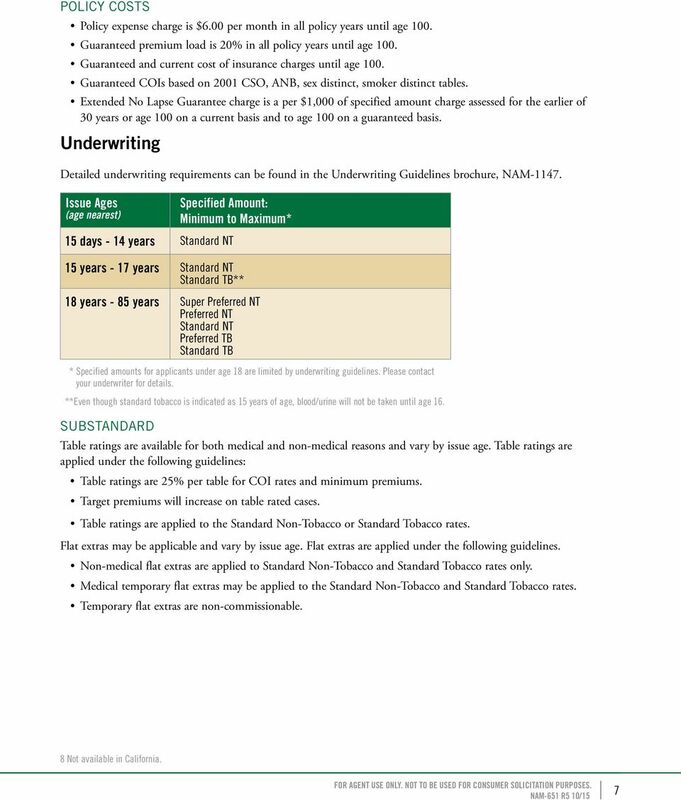 A Protection Plan for Future Generations North American Company s Survivorship GIUL Indexed Universal Life Insurance Consumer Brochure Table of Contents Overview [ 2 ] Why Survivorship Life Insurance?